Want a 2.1GHz Ivy Bridge Core i7 in your next media laptop? Mmm, yes please. And a 1080p LED backlit display to devour movies on? Well, of course. Then keep looking, because the Acer Aspire V3 maxes out at just 1366 x 768 — despite being equipped with a Blu-ray spinner and Dolby Theater v4, and also despite the eye-popping competition. Then again, at 15.6-inches that resolution might not be a total deal-breaker, plus our hands-on taster at CeBIT (before we even knew about the Ivy Bridge internals) wasn’t totally unpleasant. The HD 4000 graphics should give you the odd gaming snack, even if not a full meal, while a 750GB HDD, up to 8GB RAM and a ton of I/O options take care of the back room. The V3 will hit Japanese shelves on April 29th for around $1,100 — but watch out for a 17-incher too (which will do 1080p) plus cheaper Core i5 variants coming later. 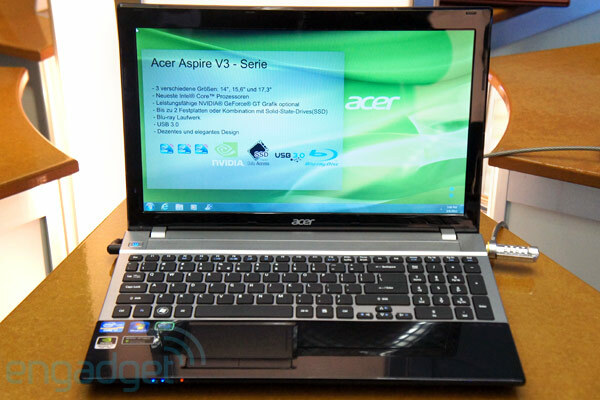 Acer Aspire V3 coming to Japan for $1,100 with right processor, wrong ppi originally appeared on Engadget on Fri, 27 Apr 2012 17:33:00 EDT. Please see our terms for use of feeds. Reuters: Apple in talks to stream films owned by Epix, no deal expected before September originally appeared on Engadget on Fri, 27 Apr 2012 16:51:00 EDT. Please see our terms for use of feeds. AT&T stockholders took to the ballot box today at their annual meeting and voted not only to reelect the entire board of directors, but also on a number of measures concerning how the company should conduct business. Chief amongst them was a provision that would have required the carrier to operate its network according to the tenets of net neutrality. Unfortunately for you (unless you’re an AT&T exec), the proposal was voted down by a pretty stunning margin. 94.1 percent of shareholders opposed, with only 5.9 casting their voice in favor of true network neutrality. For more info check out the PR after the break. 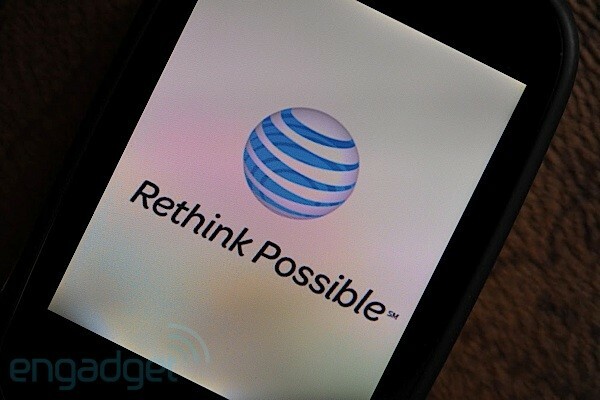 AT&T stockholders vote down net neutrality proposal originally appeared on Engadget on Fri, 27 Apr 2012 16:28:00 EDT. Please see our terms for use of feeds. This entry was posted on April 27, 2012, 5:36 pm and is filed under Mobility. You can follow any responses to this entry through RSS 2.0. Both comments and pings are currently closed.